Many say if Pumpkin is included in the Fruit, but there are also those who mention if Pumpkin belongs to the type of Vegetable. Its sweet and bright color makes Pumpkin often referred to as Fruit. But many processed foods that process Pumpkin become vegetables that have a salty taste. Pumpkin has a large round shape and is often used as an icon during Halloween. Vegetable Pumpkin is easily found in various markets or Minimarkets, for the skin or meat often processed into good food, while the seeds can be consumed as Kwaci. Consuming Pumpkin will not make fat, because Pumpkin has low calories. So it's very suitable for those who are on a diet to lose weight. Pumpkin taste like Ubi, tasty and soft. Although low in calories, it turns out Pumpkin has a high enough fiber content which serves to slow down the digestive process. So that the stomach will feel full longer than consuming other foods. Beta-carotene content contained in the pumpkin, makes this fruit rich in Vitamin A. Function to help the retina absorb and process light. Very good for eye health besides it also sharpens long-distance vision. Pumpkin is best consumed by children for eye growth and keeps the eye from farsighted. 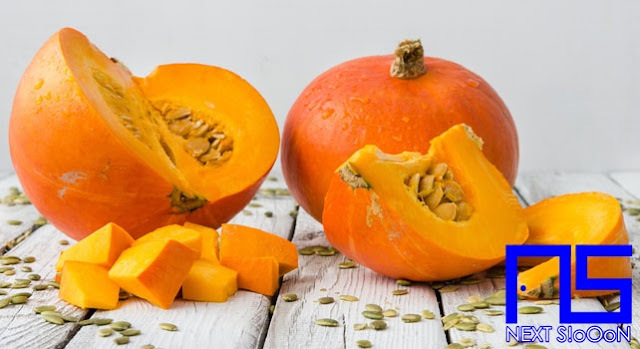 Pumpkin also contains lutein and zeaxanthin, two antioxidants that can help prevent cataracts and even slow the development of macular degeneration. In addition to eye health, the content of Beta-Carotene which is high in Pumpkin can prevent cancer cells from developing in the body. Keeping the body of various cells bad and unhealthy, a lower risk of getting cancer. As we know if Cancer is one of the worst diseases, so let's prevent the disease with a lot of consumption of vegetables and fruit. The content of various vitamins, minerals, fiber and antioxidants in Pumpkin can make the skin always supple and soft. Beta-Carotene in pumpkins produces good antioxidants to ward off free radicals and prevent radiation from UV light. That is why, eating foods that are rich in beta-carotene can make the skin more youthful. Keeping the skin tight, while maintaining the skin from various radicals that cause skin diseases. Eating Pumpkins can improve your Immune System to ward off various diseases. The abundant content of vitamin A can help the body fight infections, viruses and infectious diseases. 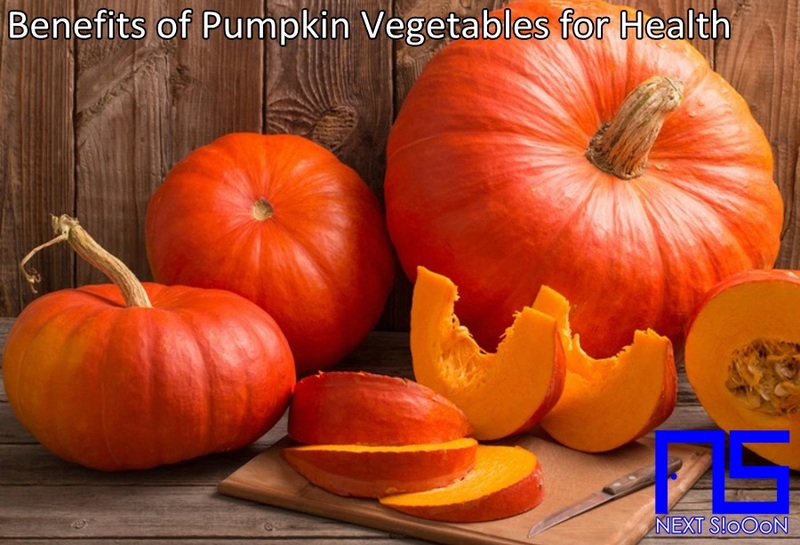 Besides nutrition in Pumpkin helps fight various bacterial and fungal infections. The content of Vitamin C reaches 20% helping to recover Flu and Cough. Maintain a healthy body condition and guard against various infectious bacteria such as the flu and cough that interfere. That is the benefit of Pumpkin Vegetables in the body, hopefully it is useful. See also the benefits of other vegetables for health. Thank you for visiting Next-Siooon (NS). Keyword: Pumpkin Vegetables, What Is Pumpkin Vegetables, Understanding Pumpkin Vegetables, Explanation of Pumpkin Vegetables, Benefits of Pumpkin Vegetables for Health, Benefits of Pumpkin Vegetables for the Body, Nutrition of Pumpkin Vegetables, Vitamins for Pumpkin Vegetables, Vitamins and Pumpkin Vegetables Nutrition for Body Health, Get a Healthy Body with Pumpkin Vegetables, Information about Pumpkin Vegetables, Complete Info about Pumpkin Vegetables, Information About Pumpkin Vegetables, How the Nutrition of Vitamin Pumpkin Vegetables is, What are the Benefits of Pumpkin Vegetables for the Body, What are the Benefits of Pumpkin Vegetables for Health, the Benefits of Pumpkin Vegetables for Humans, the Nutrition Content of Pumpkin Vegetables provides many benefits for body health.